Do you love summer, but hate the heat that comes with it? Cool off with doTERRA Spearmint! Its sweet, refreshing aroma is cleansing and uplifting, making it ideal to evoke a sense of focus and positive mood. Spearmint is very different from Peppermint, and is a milder option to use on children and persons with sensitive skin. 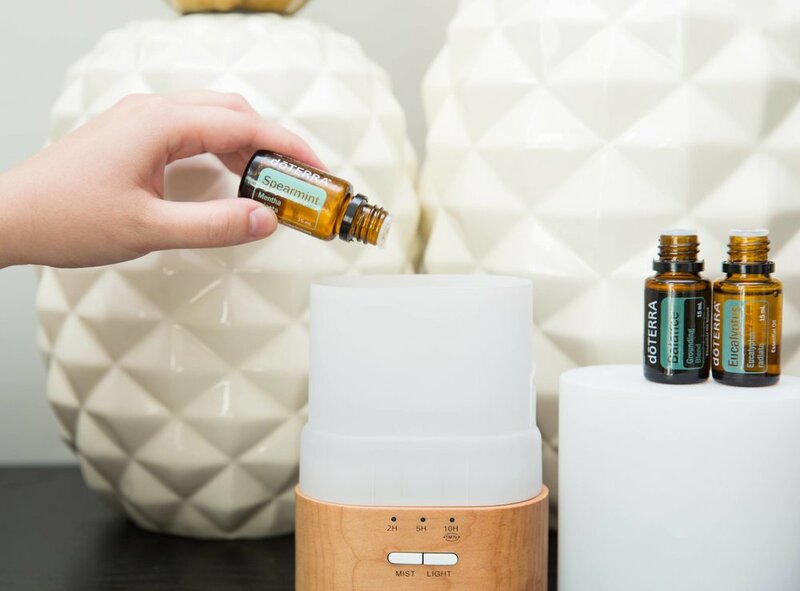 I especially love the combination of Spearmint plus Ginger in Fractionated Coconut Oil for soothing issues associated with air travel and motion. Spearmint can also be great for use in the kitchen. Try it in a salad as part of a homemade dressing, a spearmint julep, or any of your favorite desserts. Spearmint also makes for a great addition to any meat marinade recipe.